Stunning Rotorua property with views to die for! Property 5: Stunning Rotorua property with views to die for! Property 12: Rotorua 2 Bedroom 1 bathroom apartment suits singles, couples, families, groups. 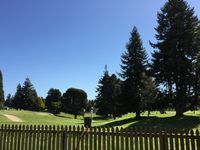 Property 17: REDWOODS - Just a pedal away COME & STAY! Property 24: If location is important then our whare is worth a look. Lots of space for big group, good location, well kept, infinite fiber wifi. Property 25: Lots of space for big group, good location, well kept, infinite fiber wifi. Rotorua Central - Kiwi Holiday House - Modernised! 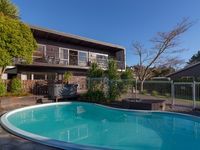 Property 46: Rotorua Central - Kiwi Holiday House - Modernised! A spacious house filled with natural light in a great location right on the golf course. Excellent for a group of 8-10 people. We loved the outdoor hot tub and pool table. Thanks Teresa, we will be back!